Understand 5.0.928 – Tools for source navigation, code understanding and static analysis. Next story HandBrake 1.0.7 – Versatile video encoder; convert any source to MPEG-4 and more. Previous story Focus Matrix Pro 1.3 – Task manager based on the Eisenhower Method. GarageSale 6.9.4 – Create outstanding eBay auctions. xStand 6.5.7 – Full screen Web browser for Internet kiosks. 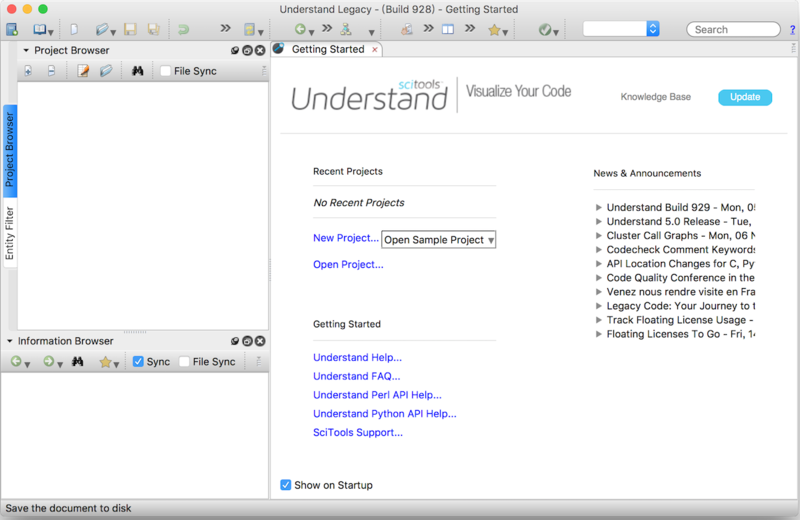 Understand 5.0.943 – Tools for source navigation, code understanding and static analysis.